Fluval's driftwood replica is accented with natural-feeling moss to add a realistic look to your aquarium. 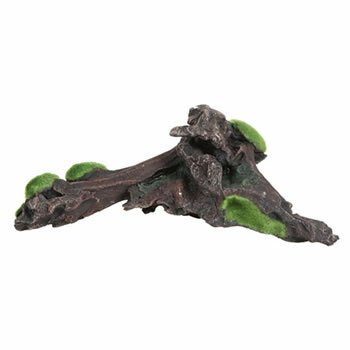 Made of durable non-toxic polyresin, this aquarium ornament is easy to clean and maintain, will not fade over time and is completely safe for fish. These driftwood replicas will provide a stimulating environment as well as a safe place to hide for your tank life. Available in a variety of colours, shapes and sizes to suit all needs.